Reports suggest that the iPhone 8 could start at around $1,100/£845/AU$1,380, which is expensive even by iPhone standards, and it seems that Samsung could be partly to blame for that. 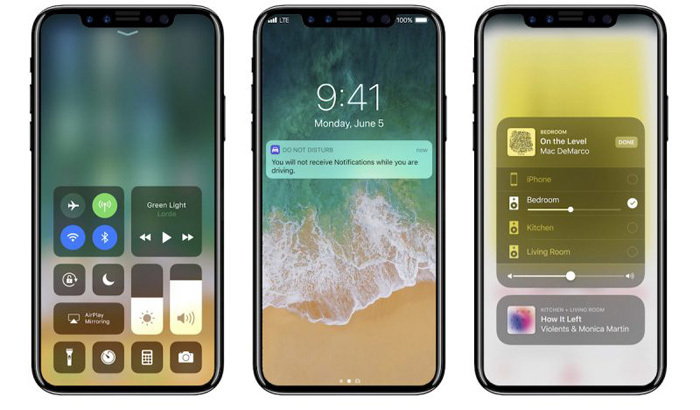 “OLED iPhone panel supply is controlled wholly by Samsung, not Apple,” Ming-Chi Kuo, an analyst at KGI Securities, wrote in an Apple Insight note dated Wednesday and seen by Business Insider. “This fact explains why, first of all, Samsung has higher bargaining power and, second, why OLED panel module is likely priced at US$120-130 per unit (vs. 5.5-inch iPhone’s LCD module price of US$45-55 per unit),” he continued. “This is also why Apple is in urgent need of finding a second source of OLED.” Both to ensure it can produce enough iPhone 8 units and to push costs down. But Samsung’s OLED display isn’t just expensive, it might also be the reason the long-rumored under-screen fingerprint scanner won’t be present, as apparently OLED can’t reliably take fingerprint scans. That would make a certain amount of sense, given that Samsung was also rumored to be working on an under-screen scanner for the OLED Samsung Galaxy S8, yet failed to achieve satisfactory results in time. It’s strongly believed that these factors will lead to a $999 starting price for the iPhone 8. Will these new features attract enough buyers to make the model a sustainable venture when there’s a psychological barrier to break down in what may be a four-digit price in the US?